We need your help to reach our target of £555 to purchase a sports analysis camera. It's a relatively high price but this one-off cost would allow us to take our football club to new levels for years to come. 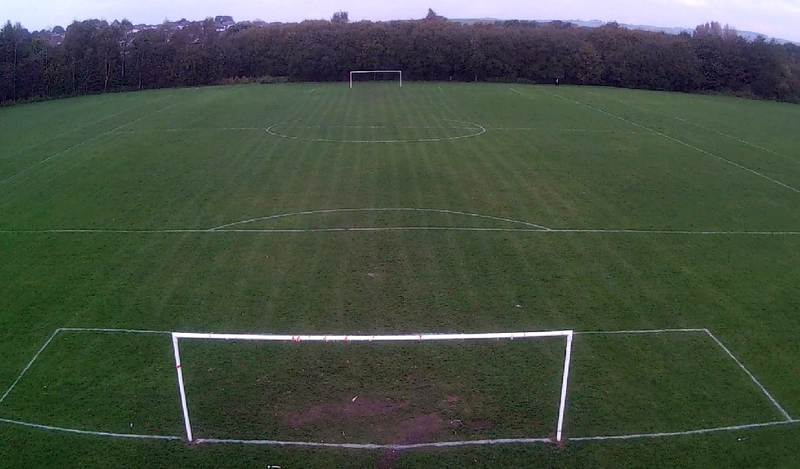 Mounted on an 8m extendable pole, the camera records for up to 90 minutes allowing football matches to be filmed. The HD wide angle camera shoots in 1080p and can be live streamed to a smartphone or large screen. Files are saved to a micro SD card in a .mov format. What would it allow us to do? We would be the first and only college football team ever to offer a highlights package of the games to our members. We would also be able to put together goal of the month competitions and get people within the whole college to vote. Players would be excited to show their best moments to friends and family, particularly through social media. Live streaming of games to anyone who can’t attend in person would likely be popular amongst members of the college. Live text updates were posted to Facebook in the first competitive inter-club league fixture which seemed to be a hit with those who couldn’t attend. Analysis of games would be taken to a new level. From a tactical point of view, nothing could be better than being able to watch the games again and design targeted training sessions. It would give us a huge competitive advantage. Even the training sessions themselves could be filmed if required to continually learn more about our methods of play. Our end-of-term awards could be transformed, with clips of our best moments put together and individual season highlights for the winners shown before presenting the award. How would the clips be edited? The CAFC committee would create a new position with the specific responsibility of editing 90-minute match clips down to a highlights package. It’s estimated by Interactive Media Masters student and former CAFC 2s captain Jack Cooper that to edit one game would take 10-15 minutes. The role would be a fantastic opportunity for someone keen to work in film & TV to add to their CV and really impress employers. In addition, it may be useful to create a position called ‘Analyst’ whose responsibility is to watch the games and write up a match report for the benefit of the captain and players. Stats would be presented such as possession, shots, shots on target, etc. In the fullness of time, it's expected that a programming expert will be able to build a bot which automatically edits the full video into key highlights. This is technically possible today and used at the top level of sports programming, but difficult and expensive for us to bring in initially. Where could this lead us in the future? We're aiming to lead the way in offering our members an ever-better experience at university. Match footage provides an open door to constantly improving the service we offer as a club. In years to come, we could see all colleges following the lead set by CAFC and building footage complete with pre-match and post-match interviews, commentary and fan reaction. The match footage combined with ‘behind the scenes’ videos could be edited together with a narrator to build an Amazon/Netflix-style sports documentary. Something like that would be immeasurably valuable for members to remember part of their time at university, and a pull factor like no other for football-playing students deciding which college to apply for. Extra funding would help us take this idea further and work on ways of improving the quality of the product we create. Cheap microphones placed at intervals around the pitch would allow us to capture crowd noise, and further equipment could be purchased at lower cost to provide reverse angle views of key moments from either end of the pitch. The better our product is, the better off those involved will be when they leave university and step out into the big wide world. Being able to proudly say to your next potential employer that you were instrumental in creating something as fantastic as this would set you apart from other candidates. We would really appreciate if you could donate even a small amount to help us on our way. Purchasing this equipment would undoubtedly help us to win by assisting in the analysis of games, the design of training sessions and by drawing in football-oriented first year students to want to be a part of Constantine. It would add a new dimension to the social side of the club, with clips being shared across social media. The creation of new committee positions to manage the added responsibilities would potentially be of immense benefit those involved, encouraging them to use and develop their skills in a very practical way. In addition, part of why we believe in this idea is because it will get the college more involved in their football team and bring spectators to the matches. Not only will this provide an ever-greater match day experience for everyone, but it will help bring the college together to a further degree than has yet been achieved since it was founded in 2014. We'd be really grateful if you could consider a gift of £5, £10 or £25 to help us make this happen. Please share this project with anyone you think would support us – on Twitter, Facebook and LinkedIn. You'll get a personal thank you video filmed by one of the committee members. We'll send you a thank you card signed by our club president. You'll receive a match ball signed by the Constantine 1s team.